Dana Corey – GM & VP of Sales Avocor, a provider of interactive solutions globally, announced that industry veteran Dana Corey will be joining as General Manager and VP of Sales. Corey will be a member of the global executive team, reporting to CEO Scott Hix. The Avocor Integrated Visual Platform is built for today’s modern workplace to unify in-room and remote collaboration experiences and provide a single visual interactive platform. From executive rooms, huddle rooms to large conference rooms, Avocor says that its solutions transform business-as-usual into inspired teamwork with all the latest tools for collaboration. In room collaboration technology with Avocor. Corey joins Avocor with a wealth of knowledge following over 20 years in global executive leadership roles across enterprise, channel management, marketing and technology operations. Corey has played a key role in strategic sales planning and execution as well as scaling products and services revenue within his organizations. He brings with him a deep understanding of the A/V and IT markets and has a reputation for building and motivating high-performance teams. 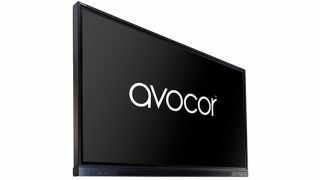 Avocor has reinvented the interactive display into an Integrated Visual Platform which features InGlass™ screen technology, a natural annotation interface and an embedded Windows 10 operating system powered by an Intel Quad Core processor. Providing an instantly recognizable interface so users are productive and comfortable with the technology.